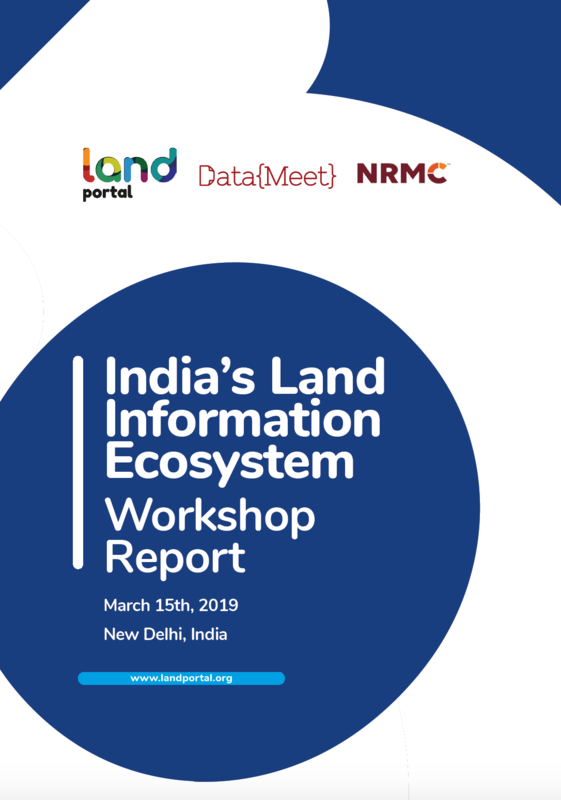 On March 15th 2019, 27 participants from India and across the world gathered at the sidelines of the India Land & Development Conference 2019 to discuss India’s Land Information Ecosystem. Availability of accurate and up to date data and information on land rights, tenures and administration as well as on different land use, such as agriculture, forestry, mining, wildlife, water, housing and infrastructure, is critical to effective land governance and crucial for planning and managing the use of land and land-based resources. However, it is an often-repeated rhetoric that there is a lack of land data - whether it is lack of reliable or up-to-date data or a lack in the existence of any data. The reality is that there are many sources of information about land, but their visibility, accessibility, consistency and completeness vary enormously. Finding solid evidence upon which to base policy and practice involves a lot of work. Policy progress on land governance is threatened by lack of good and relevant information. Now, more than ever, it is paramount that awareness is raised amongst key policy makers on the importance of information sharing, knowledge management and, more specifically the power of an information ecosystem. Land rights are finally at a point of global attention due to the inclusion of several land-related indicators in the Sustainable Development Goals (SDGS). Now - as the official process around the SDGs has begun - it is critical that the land sector works together effectively. NRMC Center for Land Governance, DataMeet India and the Land Portal Foundation invited key stakeholders to participate in a one-day workshop at the sideline of the India Land & Development Conference 2019, to create an active partnership to increase access to land-information and contribute to the information ecosystem on land. Through inclusive discussions, we intended to identify the most effective way forward to expand the information ecosystem in terms of range of sources, but also in terms of its content, value and use. We need to ensure that the link between this information ecosystem and improved tenure security for vulnerable people around the world, is effectively made. Collectively having participants implement and adopt action plan and become part of the Indian land information ecosystem.